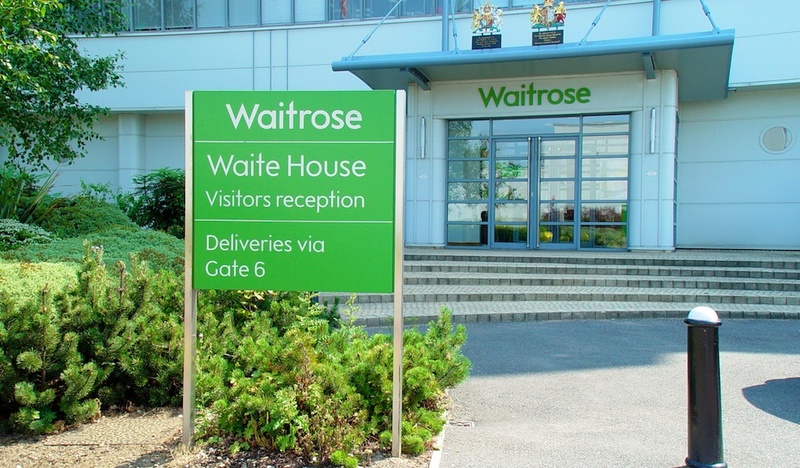 Waitrose' headquarters in Bracknell comprises their main corporate head office plus numerous warehouses from which their supermarket goods are distributed around the country. 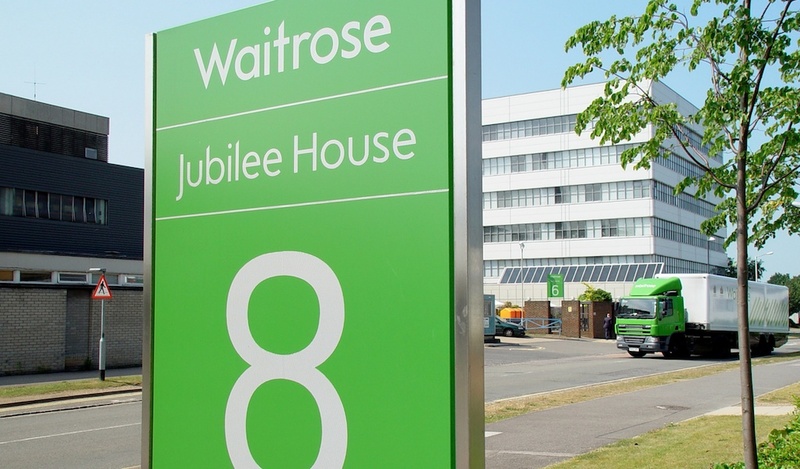 Suffering from decades of minor signage and branding projects the site was confusing to visitors and staff and cluttered with various iterations of the Waitrose identity. Visibility to passing road and rail traffic was lacking, and vehicular support for visitors and delivery drivers confusing. 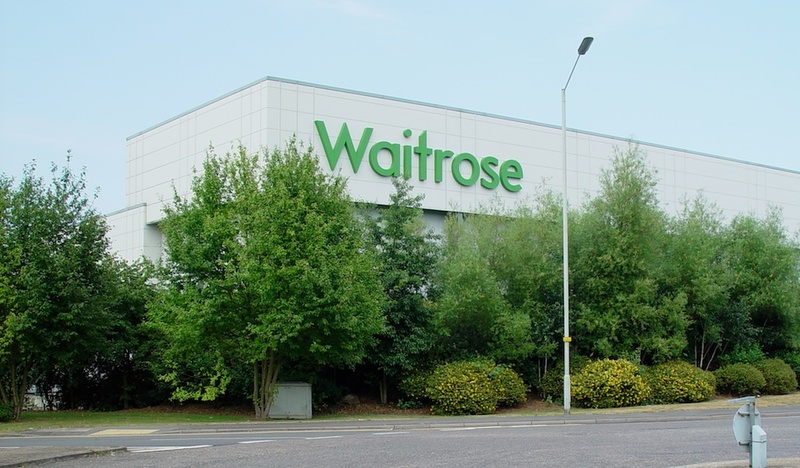 We were asked by Waitrose to improve the off-site visibility and on-site wayfinding for visitors, staff and delivery drivers, at the same time implementing their new brand identity. 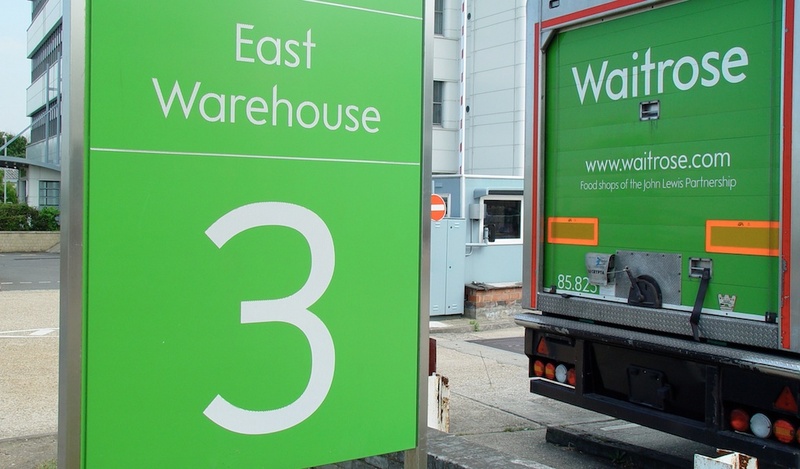 Our key objective was to provide a clear and legible wayfinding solution which addressed the individual - and differing - wayfinding needs of both corporate staff and visitors, and the warehouse delivery drivers and supporting resources. 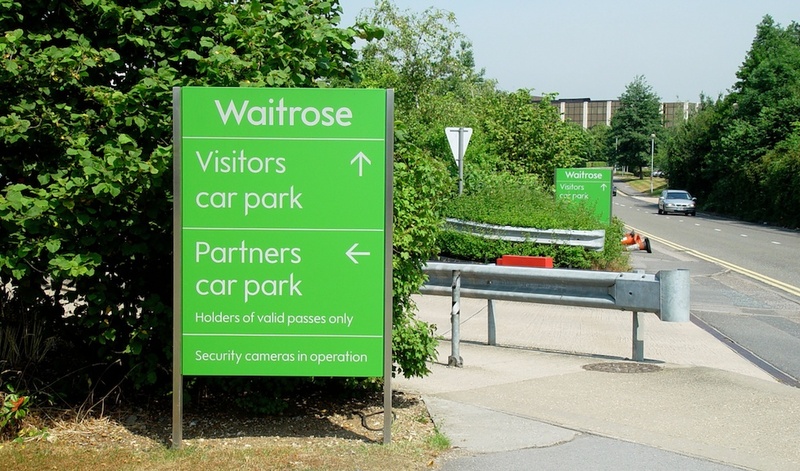 Working from the Waitrose sign family (designed for supermarkets) we created an extended family of signs more suited to the specific requirements of the site. Architectural letters were applied to buildings to provide long distance visibility to passing and approaching traffic. 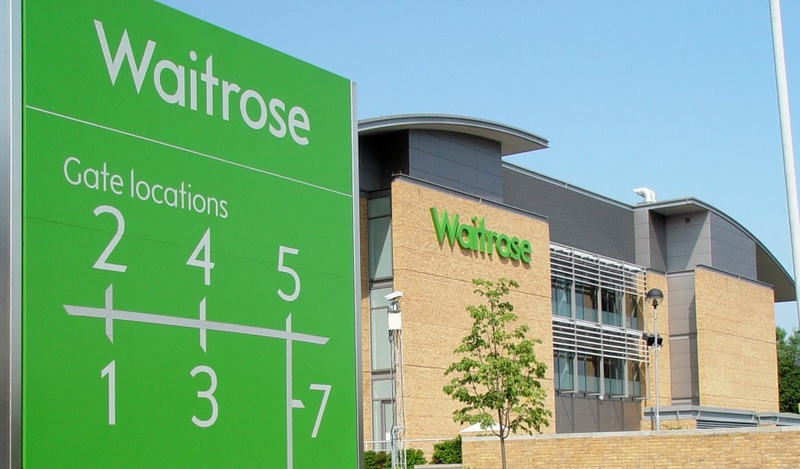 New and highly legible gate directories for goods vehicles help orientate and guide first time delivery drivers efficiently to the appropriate buildings. Our scheme provides highly legible wayshowing support for drivers and pedestrians alike, thereby unifying, identifying and branding the complex.